Love knows no boundaries, and our celebrities have made that quite evident in the past and recent times as well! Our Bollywood Indian celebrities have not let religion or region come in the way of marrying the man or women of their dreams. 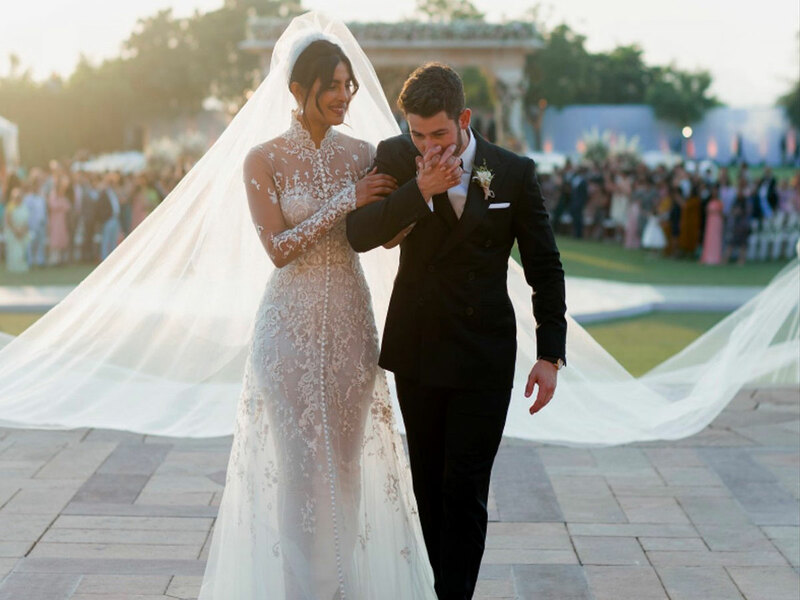 Priyanka Chopra recently got married to Nick Jonas in a grand lavish wedding at the Umaid Palace in Jodhpur but she isn’t the only Indian star be romantically involved with someone from a different nation. Now that Priyanka Chopra has found love in the foreign shores with Nick Jonas, a few Bollywood actresses and actors have also found their true love in the faraway lands and are very happy and delighted with their decision. Priyanka Chopra and Nick Jonas had an amazing reception last night at a suburban five-star hotel in Delhi. Both Priyanka and Nick got married at the Umaid Palace in Jodhpur in a Western Marriage where Nick’s father who is a pastor officiated the marriage. The western wedding was later followed with Indian rituals like the mehendi and sangeet leading up to a traditional Indian marriage. The wedding and reception were also attended by close friends and even celebrities and also the Prime Minister of India made a beeline to wish and bless the couple. Priyanka wore a beautiful custom-made Ralph Lauren bridal gown, while her Indian bridal lahenga was made by the Indian designer Sabyasachi Mukerjee. We wish this newly wedded couple a lifelong of love, laughter and a happily ever after. Nick and Priyanka were said to have first got to know each other through our trusty friend, ‘the internet’ and started a string of conversations over texts, later in 2017 they met again at the Met Gala wearing Ralph Lauren, it was this time they actually started to get to know each other but it was only until few months before they actually dating and ultimately got married this December. Preity Zinta and Gene Goodenough’s wedding was a secret affair and took everyone by surprise as and when the news broke out. Preity’s husband Gene is an American and the couple are happily settled in the US. Preity Zinta tied the knot with Gene Goodenough on the 29th of February, 2016 in Los Angeles. Goodenough is based in Los Angeles and is a Management grad from the Marshall School of Business in LA. The couple had a dreamy wedding according to Hindu rituals with the Mandap being set near Mulholland Drive in Beverly Hills. The couple planned to auction their wedding photos for the purpose of charity. The bubbly Bollywood actress did share her picture of her wearing a ‘Chooda’ in her wrist as a part of wedding celebrations. The dimple cheeked beauty looked stunning in a red lehenga designed by her close friend and top couturier Manish Malhotra. Although, Ileana hasn’t made an official announcement on the same, the caption here sure hints at a secret wedding. (Read “hubby”). Soon this cryptic post was made viral on the internet and fans can’t wait for the actress to make it official. We wish them a happy married life. 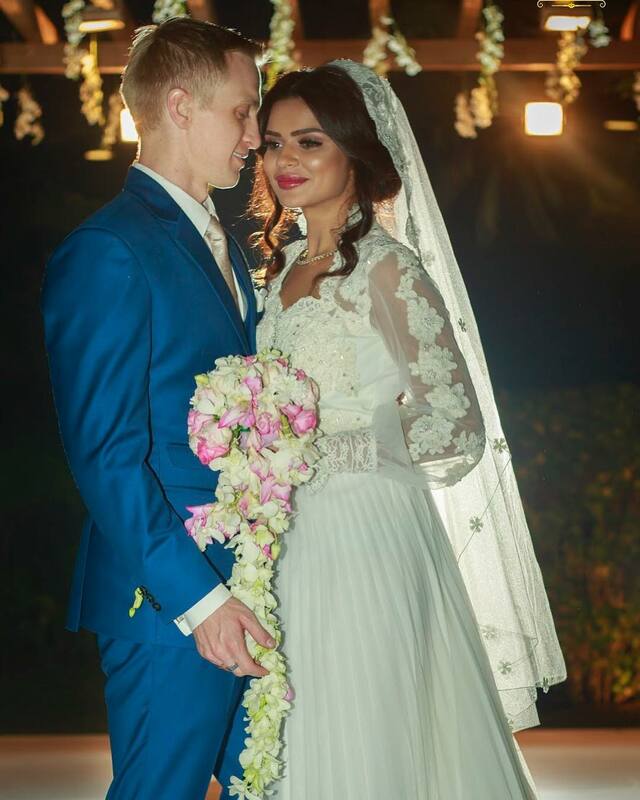 Aashka found love in Las Vegas and here’s how and who! According to sources, the actress was in Vegas for a concert when she met Brent who was hosting the VIP section. Brent is a weapons instructor and range safety officer in Las Vegas. Globe took the big step of moving to India to be with the love of his life and support her career. The couple had a Christian wedding on the 1st of December, 2017, followed by a Hindu wedding on the 3rd of December, 2017 in Ahmedabad. Radhika Apte has always remained in the news for her bold scenes and movies with such content. 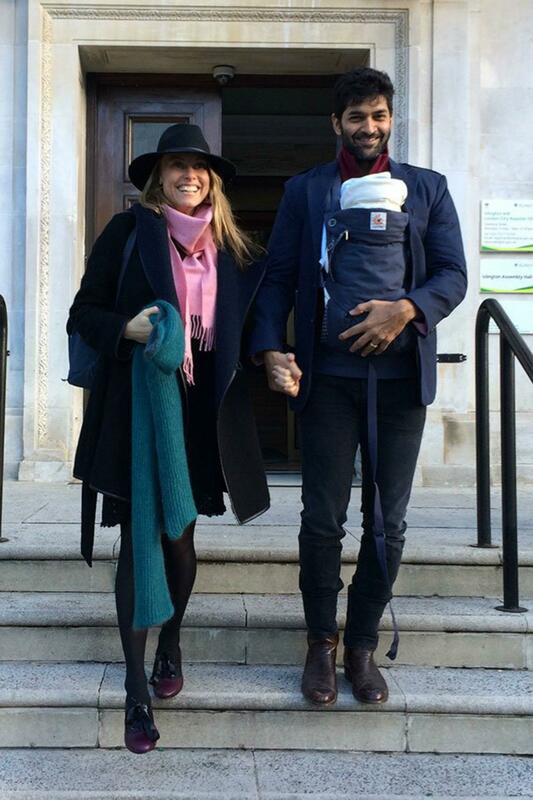 However, one more news that made her in the news was getting married to a British Musician Benedict Taylor. Not many people and fans today know that the Padman actress is married. In 2011 Radhika was in London learning contemporary dance, a renowned contemporary musician, by the name of Benedict Taylor happened to be there (who later gave music for the 2017 Hindi film Newton). With similar interests, they hit off instantly. Soon their bond strengthened and, in a year, they got so serious about each other and eventually got married in September 2012 and officially announced their marriage in March 2013. It was a court marriage. Being the Former Miss India and Bollywood actress is expected of Celina Jaitley. 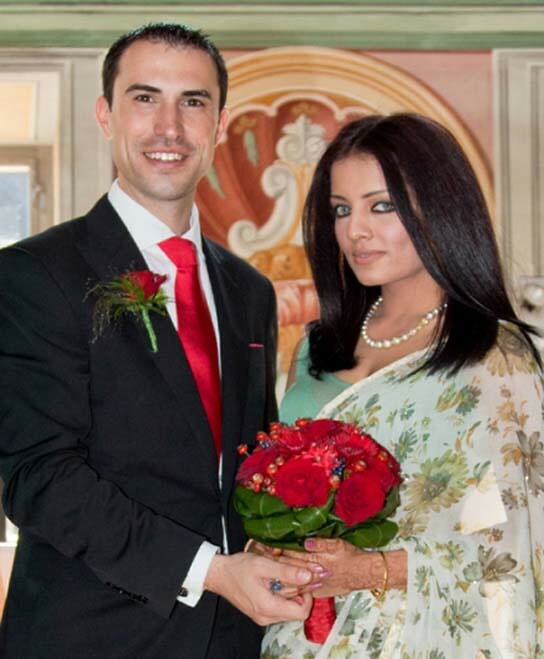 What is news is this Bollywood actress’s marriage to Peter Haag, a Dubai based hotelier and businessman, in the year 2011. Celina met the man of her dreams in Dubai for the first and there was an instant connect. Peter Haag, a hotelier who owns chain of hotels in Singapore & Dubai, came down to India to finally propose to his lady love and the couple got engaged on the 23rd of September, 2010. The couple got married on the 23rd of July, 2011 in Austria and their wedding was no less than a fairy tale. The wedding ceremony took place in a 1000-year-old monastery in Austria against the backdrop of the beautiful gleaming mountains. The wedding ceremony was followed by an exquisite champagne lunch! The duo became proud parents in March 2012 to twin boys and in 2017 welcomed their 3rd son. As for the bridal costume, Celina wore a royalty inspired chiffon saree decorated with gold mukaish. She is known to have in relationship with a few and more known in South Indian film but she settled down with a foreigner called Andrei Koshcheev. She played in B Town films the role of Ajay Devgn in a couple of movies. Shriya Saran got hitched to Andrei Koscheev in a very hushed affair in Udaipur. The wedding took place according to traditional Hindu rituals. Koscheev, from Russia, is an established tennis player and owns a chain of restaurants that serves organic food and has also won the Best Entrepreneur Award in 2015. It is official, Bollywood hottie Arunoday Singh is a married man now. The news of his marriage started off as a hoax, but this time, he has tied the knot with his beautiful partner, Lee Elton. The wedding took place on December 13, 2016. This Bollywood actor found his lady love while shoot the film ‘Aisha’ which stars Sonam Kapoor. It seems that, it’s not only the women who are enamored with foreigners but it’s also the men too. 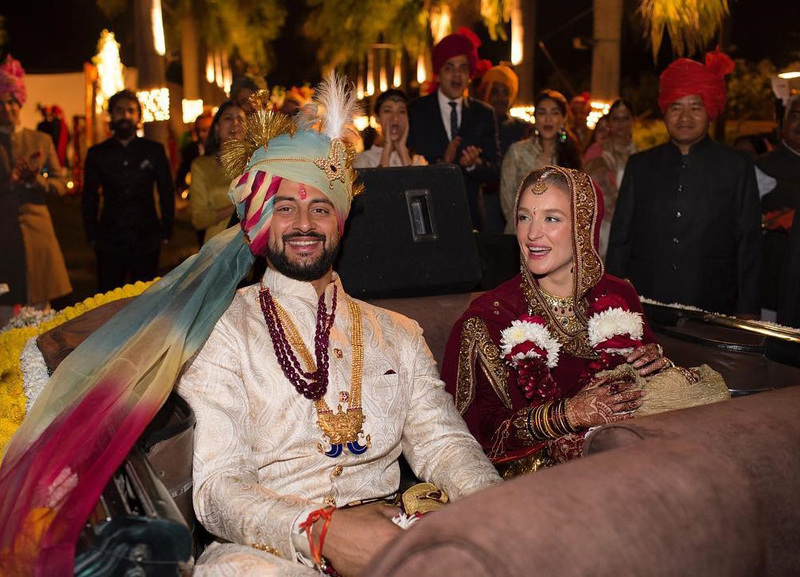 We wish our Bollywood hottie, Arunoday Singh and Lee Elton a happily married life. 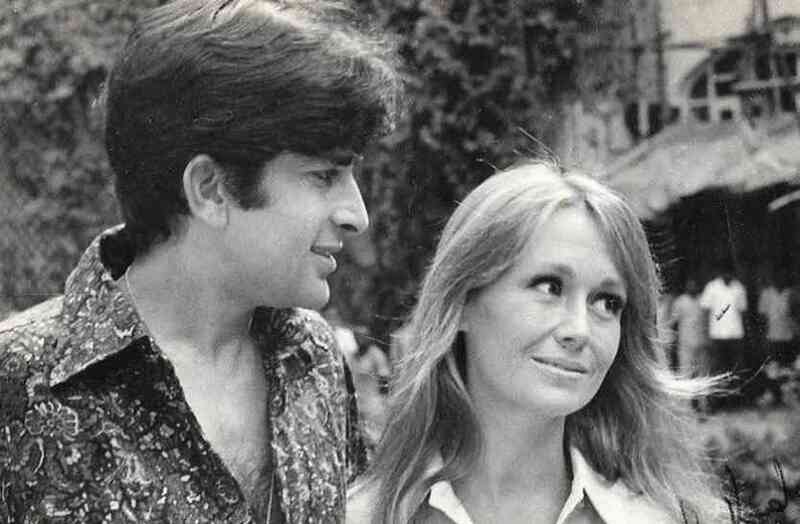 Shashi Kapoor had a fairy-tale romance and marriage, unlike some of his contemporaries. He fell madly in love with British theater actress Jennifer Kendal when they met in Kolkata in 1956. He began touring with her troupe – and they got married two years later. She acted in a number of his films and passed away from colon cancer in 1984. The love couple had three children: Kunal Kapoor, Karan Kapoor and Sanjana Kapoor. Next articleAdvent – The True Meaning Of Christmas!